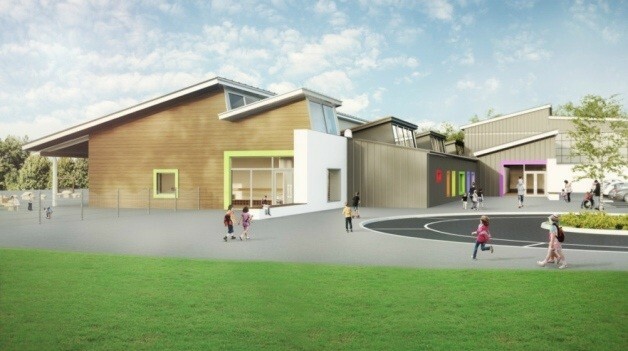 Construction work has begun on a new Aberdeenshire Primary school in an effort to ease ongoing overcrowding in the area. 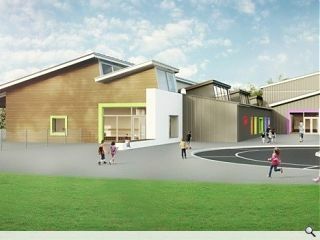 Drumoak Primary will accommodate 145 pupils in six classrooms and includes a range of sports halls in addition to a 30 place pre-school nursery, library and general purpose areas. Designed in-house the scheme is centred upon a linear street along which a number of break out and teaching spaces are located in addition to providing access. Adopting a modern palette of timber, render and metal standing seam cladding the school forms part of Stewart Milne’s Dee View housing development.